MARUTI (MPV) ERTIGA | THE PORTICO..
After an epic tussle, which left revolutionized and posterized India’s most popular automobile brand, that dirty image is now receding, Delhi 2012 Auto expo is an ear mark event for India’s strong automobile sector, which is booming than any other sectors across the nation. Maruti is now maturing than ever before, with comfortable and affordable hatchbacks Maruti served million Indians and helped them to own a car. New avatar of Maruti is- “ERTIGA”. Toyota rolled out innova and quails served many tourists and travelers as a comfortable dwarf giant and Mahindra has Scorpio with them while Tata has Sumo or safari, but Maruti always stood as a hatchback company. Maruti ERTIGA is a unconventional car from them. K-Series engine is powering ERTIGA. Petrol Engine: K14 petrol Engine with 95 bhp Power, 13 kgm torque. Keyless entry system and steering mounted audio controls, twin air conditioner,It has the great effect of SWIFT, ERTIGA has got a great bootspace comparing to it’s hatchbacks. Maruti Ertiga LXI Since it will be the range opener somewhere near to Rs 6 lakh, it will not be stuffed with too many features but power windows, power steering, body color bumpers, manually folding OVRMs (outside rear view mirrors), multi trip meters, AC, etc. will come as standard. Maruti Ertiga VXI It is anticipated that Ertiga VXI will come with features like central locking, electrically folding OVRMs, keyless entry, adjustable headrests, body colored OVRMs, door handles and many more. The mileage offered by all petrol variants will equal 16.02 kmpl. Maruti Ertiga ZXI It will be stuffed with a number of premium features which won’t be offered in the starting and medium range model. These features include ABS with EBD, optional Airbags, Leather Seats, Music System, leather wrapped steering wheel and gear knob, etc. Maruti Ertiga LDI This variant will carry exactly same features as Maruti Ertiga LXI, except the different engine system. Maruti Ertiga VDI VDI will house the same diesel engine as LDI. Maruti claims a mileage of ARAI certified 20.77 kmpl for all diesel variants including VDI. Maruti Ertiga ZDI The Maruti Ertiga ZDI is the diesel top end variant and will be carrying all the features offered with the ZXI model. The ZDI will be the highest priced model among the Ertiga model range. To make a smooth drive for the consumers, Maruti Ertiga features splendid 15 inches of alloy wheels. These alloy wheels give the entire car a sporty look along with will guaranteed high ground clearance(lesser than Innova). Two AIR BAGS(both on front side) Antilock Braking System (ABS) with EBD and brake assist that allows the car to get the right braking balance between the rear and front axle. There is also engine immobilizer and high tensile roof that add on to the safety features of this multi utility vehicle. ← DisLike For Facebook ??? PRICE: Rs 6,00,000* – 8,00,00* ? Congratulations on the way this site is picking up, Deepak, all the best. Maruti Suzuki is definitely the Peoples’ car and what else to say about a company that transforms the dreams of a billion people…….I can’t wait to see ‘Ertiga’ hitting the roads!!! 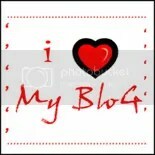 It’s Sriramnivas and don’t be confused to see the name ‘nomadichearts123’….. This is my first visit to your site ..looks cool and its nice to met you coz your from Thanjvur (Rice Bowl of Tamil Nadu) . Well Interesting car from Maruti Suzuki ..
Ertiga is another strong product from Maruti. Innova will definitely feel the heat. Competition is getting hotter in MPV segment and this is just a beginning. Maruti Suzuki India has finally unveiled the 7-seater MUV “Ertiga” at the 2012 auto expo in New Delhi on 6th January, 2012. 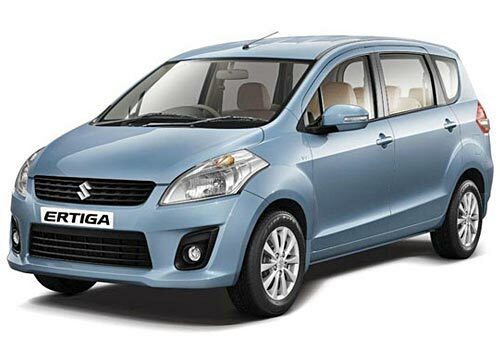 Maruti Suzuki has unveiled one of the most waited cars of 2012, the Ertiga MPV. The 3-row, 7-seater Ertiga marks the car maker’s entry into the utility vehicle segment.